If you are trying to get rid of mold in your house, you should not practice your DIY skills with this stubborn enemy. The right move is to get an expert in mold removal to solve this problem for you. If you live in Kauai, you should get in touch with a reputable Kauai mold removal company immediately. This expert will visit your house, assess the problem and take the necessary steps to solve the problem. Below are the steps involved in mold removal. Mold removal starts with inspection and assessment. The experts will visit your home and look at the affected areas carefully. The aim is to assess the extent of damage and come up with the right solution. Mold affects different parts of the home in different ways. In some cases, homeowners cannot tell the difference between mold and mildew. The job of the expert is to identify the culprit you are dealing with here and take the right steps to get rid of this unwanted visitor. Apart from getting rid of the mold, your mold removal company will take certain steps to contain the problem. In this context, mold containment means preventing the problem from spreading to other parts of the house that are still unaffected by mold. The actual process of mold removal is done by eliminating mold colonies. 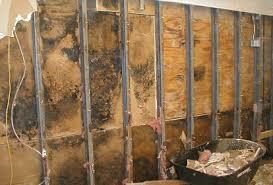 You need anti-fungal and antimicrobial treatment to ensure that the mold disappears completely. Mold removal also means getting rid of mold colonies in your house and cleaning mold-infested areas to ensure that the re-growth does not happen. Mold affects the quality of air in your house. This is why experts use air filtration equipment to improve air quality. In addition, your experts will utilize powerful scrubbers and vacuums to prevent the spread of mold spores. Mold removal also involves cleaning some of your belongings that may be contaminated by mold spores. These belonging include clothing, furniture, and curtains. These belongings are cleaned and de-contaminated with the right substances. Experts also use fogging equipment to get rid of odors. This is the final activity in the mold removal process. Restoration includes minor repairs like painting, replacing drywall and installing a new carpet. In some cases, the walls may be repainted or reconstructed but this depends on the extent of damage encountered by the experts. Mold removal is a serious matter but you do not have to panic. Get the right company to deal with the problem and your house will be completely free from mold. Why Hire A Professional Mold Removal Company? All types of buildings are prone to mold infestation. As long as there is a source of water or excess moisture in the indoor environment, mold can keep growing and spreading. It spreads very fast. In fact, it can spread to a very large area of property in 2-3 days. As it grows and spreads, it starts producing spores that are so minuscule that they can float in the air. When inhaled or touched, these spores produce allergic reactions in humans and pets. People living in the mold-infested houses suffer from various health problems. You should call a professional mold removal service company as soon as possible if you notice mold infestation in your home or business place. The mold removal job should be handled only by trained mold professionals who are equipped with the right training, equipment, safety gears, and supplies. They know how to handle this process. All areas and spots that are infested with the mold are identified. They look for areas that generally go unnoticed during everyday cleaning and where the mold may have taken over. No mold infested spot should be left during the mold removal process or it will return back quickly. A mold expert knows how to identify all such locations. The next step is to remove all household items from the areas where the mold removal process is planned. Heavy objects that are not easy to move can be left behind but all such objects must be completely covered. Mold removal experts use special equipment to remove the mold. They wear full body coverage protective clothing to prevent inhalation and touching of the mold spores. Special cleaning supplies are used to remove the mold from their source. At some places where mold has taken deep root, the whole top part of the wall or ceiling must be removed. It can mean extensive repair and renovation works but there is no other way but to remove such parts if you want to prevent returning of the mold quickly. The mold expert will inform you at the start if it is necessary to remove the mold infested parts of the building structure. Microbial remediation techniques are used in this process. It prevents any quick returning of the mold. All cleaned areas are fully dried with special equipment. If you want your family members and visitors not to suffer mold-related health problems, you should immediately call a mold removing service company. Do not do it yourself if the mold has spread to a wide area and you do not have the expertise, equipment, and protective gears to remove the mold. Call a mold removal company that will remove the mold from all parts of your walls, floors, ceilings and other parts of the property. 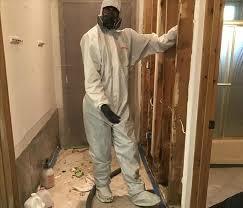 Mold removal requires a professional and seasoned hand. With years of extensive industry experience, mold removal experts can remove mold spores from your AC-heating vents, air shafts, ducts and on the equipment themselves. With mold detection equipment and special lighting, they are able to pinpoint and eradicate mold anywhere within your home or office. This includes under your bathroom and kitchen sinks, which are breeding grounds for mold spores growing on pipes and insulation. Mold is essentially fungus, which can grow at alarming rates. They result from excessive moisture and humidity, but mold spores can even grow in colder environments as well. If not treated or removed in a timely, professional and cost-efficient manner, mold can cause serious respiratory and breathing problems for loved ones and domesticated pets. Similarly, mold can trigger allergies like watery-itchy eyes, sneezing, coughing, nasal congestion and more. Mold can also affect the way your plumbing and appliances function. No truer is this than with pipes, which can experience back-flow due to excessive mold growths within or on the outside of the components. With this in mind, you need professional, seasoned and reputable mold removal experts to take care of this problem right away. What does a Mold Remediation Specialist Do? • Detect mold and mold spores using specialized lighting and detection equipment. • Discuss the best ways to remove mold, along with complimentary consultations and cleaning — removal — eradication quotes. 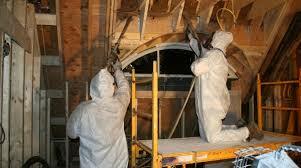 • Work with your property insurance companies to save you money on mold remediation services. • Completely clean mold and mold spores from all detected areas. Utilize the latest in mold removal equipment, along with industrial cleaners, sprays, washers, and other essential tools. Mold removal specialists wear special gloves and facemasks, along with goggles to protect themselves from the mold as well. • If needed, they can install special blue lights in your attic, crawlspace or basement. This helps prevent the spread and return of mold, along with monitoring the success of the mold cleaning job just performed. For more information, simply contact your mold remediation company for help today. As we move forward with our new and improved framework at Kauaitimbers.com, we are proud to announce that our partnership here includes writers from a variety of different websites. Our newly convened team will be working hard to provide you with timely pieces whether you are planning to travel, or just thinking and dreaming about a future trip.